The newly acquired slugger leads the majors in home runs and is emerging as a team leader. J.D. Martinez loves that dirty water. 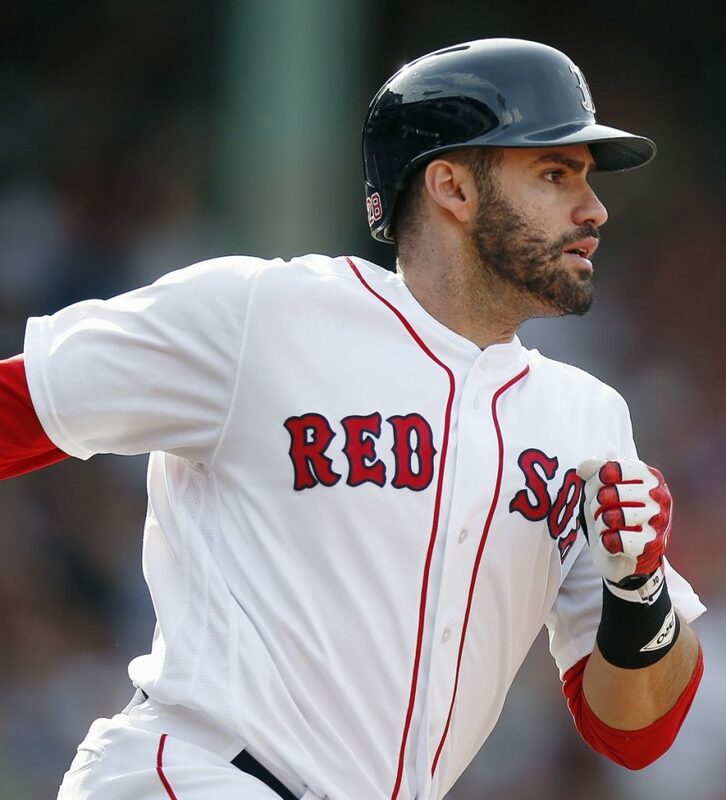 Boston is now home for the new Red Sox slugger, and he quickly has become very comfortable playing at Fenway Park. In some ways we shouldn’t be surprised. Going back 162 games – to the end of May 2017 – Martinez has hit 58 homers and driven in 141 runs. No one in baseball has had better production in that stretch. Yet many thought Fenway Park would take away some of that power. Martinez, signed by Boston as a free agent in February, is a guy who likes to drive the ball to the right-center field gap – and that alley is huge at Fenway. The Green Monster also turns many line drives into wall-ball singles. Those line drives would find their way into the seats in most other ballparks. None of that has bothered Martinez. He has hit 14 of his major league-leading 21 home runs at Fenway. The 21 home runs are the most by a Red Sox hitter through 65 games since Manny Ramirez in 2001. In 2006, when David Ortiz set the Red Sox record with 54 homers, he had 19 through his first 65 games. And Martinez isn’t the type to hit homers in garbage time. Many of his home runs come in the clutch. Through Sunday he led the majors with eight winning homers. It’s the most by a Red Sox hitter before July since Jim Rice’s MVP season of 1978. As he leads the Sox on the field, Martinez has also become a commanding presence in the clubhouse. The timing of his emergence as a leader couldn’t be better. Hanley Ramirez was released and Dustin Pedroia is on the DL. The core of the Red Sox roster is still very young, and players like Rafael Devers and Blake Swihart have been trying to find their way into an offensive groove. A hitter won’t find a better role model. Martinez is obsessive about his preparation and makes videos of every one of his batting-practice swings. He’s relentless in his work and constantly searching for his optimum swing. That obsession also has helped overcome another obstacle to succeeding in Boston. He doesn’t seem to be bothered by the pressure of playing here, of the fans’ expectation that he perform at a high level every game. It’s because his expectations are even higher. He’s relentless in his preparation and when he serves as the designated hitter, spends his time between at-bats in the batting cage trying to perfect anything that concerned him in his last live swing. Martinez has won us over. The Red Sox need him to stay on the field to help them win games. He’s only played more than 125 games once and last week came out of two games with back spasms. Fortunately, they weren’t serious and he was able to return to the lineup within a few games each time. Imagine where the Sox would be without him. They have gone more than two weeks without Mookie Betts at the top of the lineup, and Betts’ absence was felt over the weekend when the Sox lost 2 of 3 to the lowly Chicago White Sox. Betts has returned to the team, playing Monday night at Baltimore. The Red Sox are hoping his return, and the presence of Martinez in the heart of the order, will keep this magical offense clicking through the entire season.